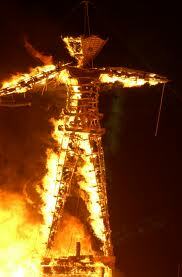 I give you Burning Man…through S’s eyes…. p.s- Happy birthday to my SIL- KOG!! Love you. Most people in attendance were not hippy tree-huggers (at least at the event). In fact, I’d say that this was probably one of the most consumptive events I’ve been to. I guess that makes sense when you think of building a city in the middle of the desert (a la Las Vegas). Many camps had generators to power sound systems and light structures. 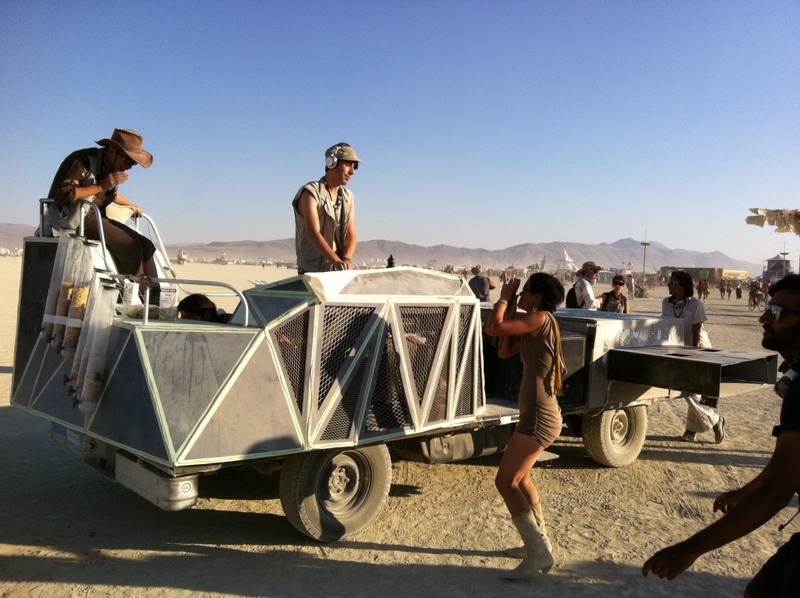 There were massive/elaborate “art cars” that would roam around the “playa” (what people call the desert)–many of these would incorporate fire into their design, consuming large amounts of fuel, large lasers etc. Everyone was there for a different reason. I was there mainly to hang out with my friends, dance and see some of the art work, others were there for music, spirituality, escape from reality and so on. It was interesting to meet new people and ask them about why they were there—often, we had completely different reasons for being there, but were still thankful that the other had come. 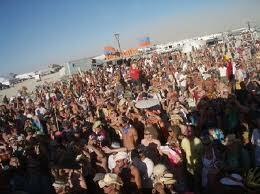 One of the misconceptions I think a lot people have about burning man is that it is just a bunch of people doing drugs in the desert. I think this is unfortunate, because it no doubt dissuades some people from going that would probably have fun. I’m sure there were plenty of drugs (including alcohol) out on the playa, but I don’t think it was anymore prevalent than at a bar/club. There were plenty of police patrolling, so there definitely wasn’t much public drug use. (or a dragon). 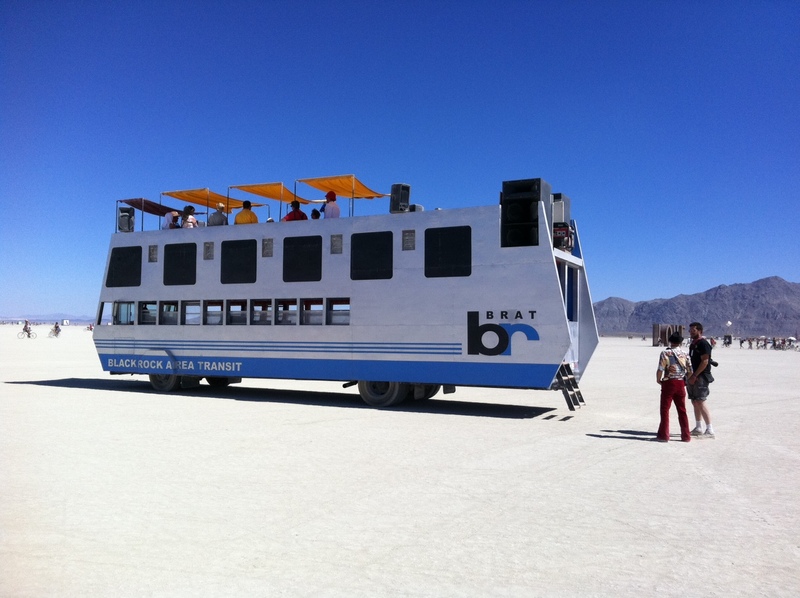 Robot Heart was a mobile sound system that cruised around–people would gather dance and then follow it as it cruised to its next stop. Beyond the mobile art, some of the sculptures were out of this world as well. 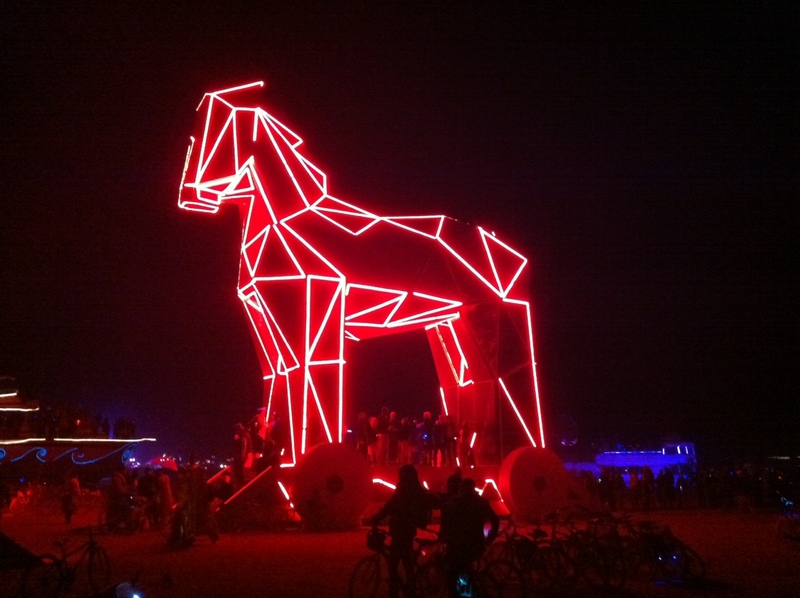 A large scale trojan horse was built… (probably my favorite piece). What motivates people to build this stuff? It certainly can’t be cheap…Surely, some of the artists have sponsors, but many said they do it just because they can. They want to build what they are thinking and share it with people that will appreciate it. All in all, I’m very glad that they did.